I know that this post comes to you with a bit of a delay but to be honest I’ve had to prioritise my health, getting over jet lag and some serious lack of sleep. A month of travelling, which started before Los Angeles eventually caught up with my body, which explains why I’m wiring this from my bed dressed in nothing but a bathrobe. But enough about that! Let’s reminisce about LA and what a wonderful adventure we’ve gotten to experience during the last couple of weeks. 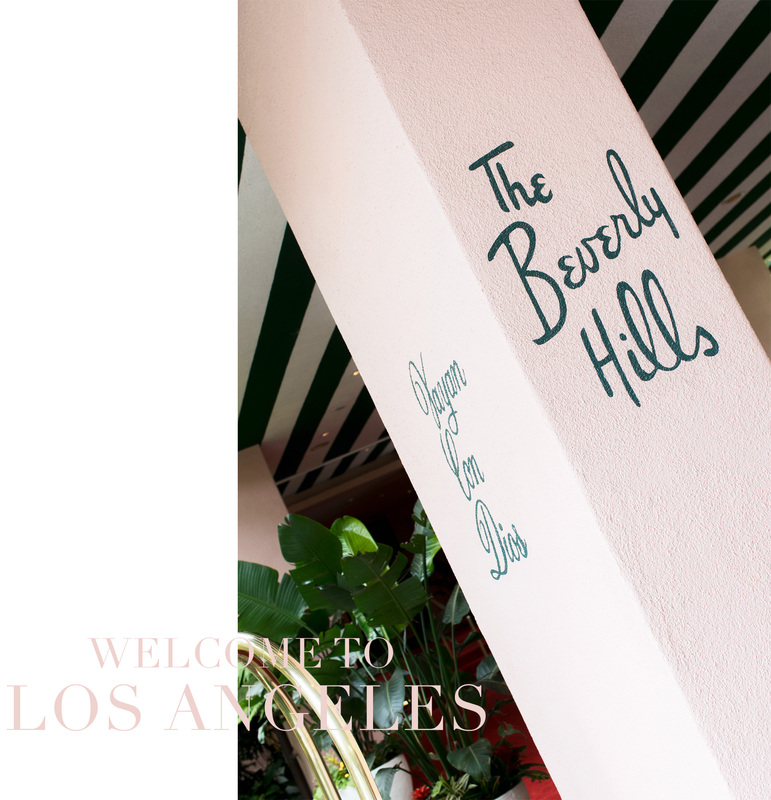 It all started right here, at The Beverly Hills Hotel in Beverly Hills, California. It may come as a surprise to many of you but I’ve never been to California before – yes, that’s right, I popped my Cali cherry with this trip! And what a trip it was… Our adventure begun with a few wonderful days together with the best Cartier team, who had organised everything immaculately – as always – for us all to enjoy a few days on the West Coast. The big night while in Los Angeles with Cartier was their Panthere de Cartier Soirée where I fell in love with Alicia Keys performing, their deliciously yummy fries (served in little popcorn boxes) and more beautiful Cartier bling. Lunchin’ in beautiful Malibu was also another favourite moment during our stay, even though we managed to get to Los Angeles just in time for their only rainy week throughout the entire year and the lack of unhealthy food options at the ever so LA-kale-inspired Soho House in Malibu. Despite the grey skies (and missing my fries) we spent the loveliest time together, enjoying the company of friends I haven’t seen in a while and getting our very first look at Malibu. I can definitely see why people tend to relocate to this pretty place! Tortilla chip and guacamole by the poolside, enjoying a little bit of sun (in our jeans but ready on our sun beds) was another moment I loved every single part of. This hotel was just the cutest thing I think I’ve ever seen and they also just happened to serve the tastiest guacamole I’ve eaten in a long time. Yum! I definitely want to come back to this place in the future – but most likely (and very unfortunately) without Cartier though… We were definitely treated as little princesses while there and I can’t imagine how much organisation, hard work and effort goes into these days, in order for press and digital profiles to experience a new place in the very best way possible. I’ve said it before (remember our trip to Morocco last year?) and I’ll say it again: I adore discovering new and old places together with my Cartier family and it’s something I hope I’ll be fortunate enough to experience many times again in the future.